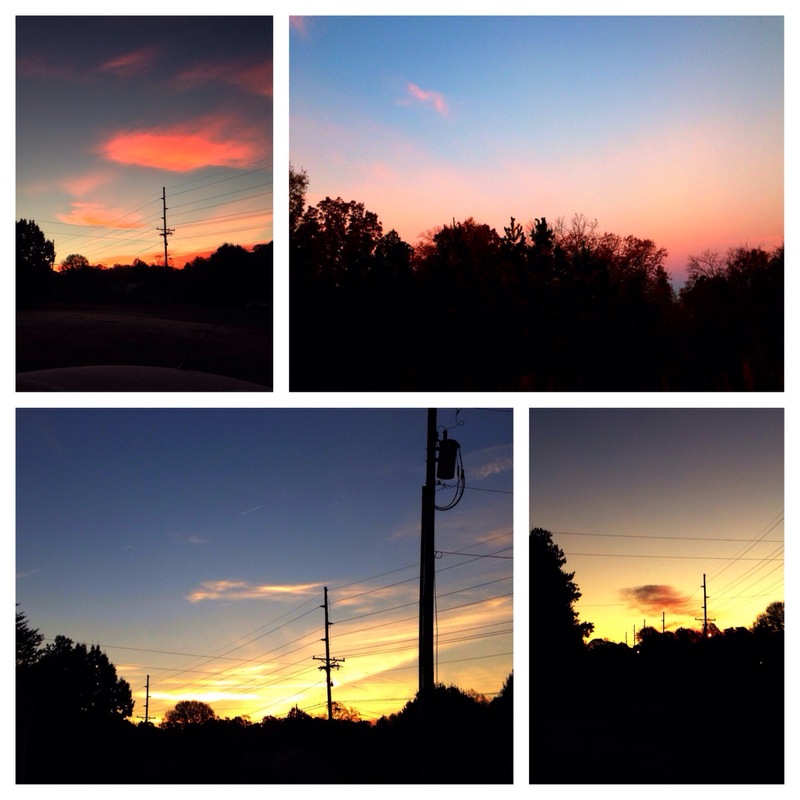 This year my sunrise came with a mostly cloudless sky and through the view of power lines. At first I was a little disappointed at the lack of clouds because I knew there would be nothing to reflect the sun’s light in beautiful colors. I almost gave up and went inside. All of sudden, there was a small pink “puff” that began to show. I decided to stay. This time wasn’t just about pretty pink clouds, but it was a time to celebrate the dawning of a new year and spend time with God. As the sun began to rise there were the most beautiful colors of orange, pink, yellow and blue. But I had to look through the power lines. Again I became frustrated because I couldn’t capture a ‘good’ picture. That is when a song began in my spirit. Much like those power lines running through my view, many times our life is full of distractions, trials and clutter running in different directions. But if you look through it and beyond it you will see God’s hand working on something beautiful.